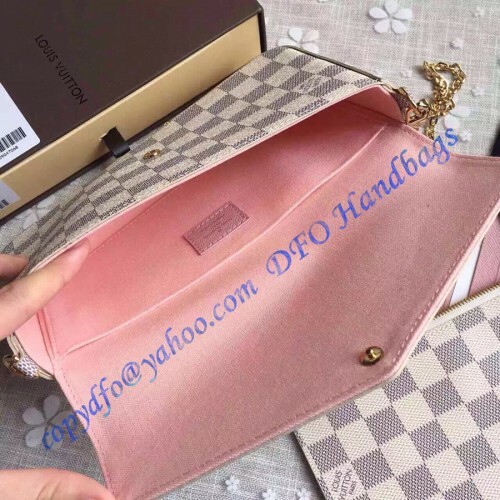 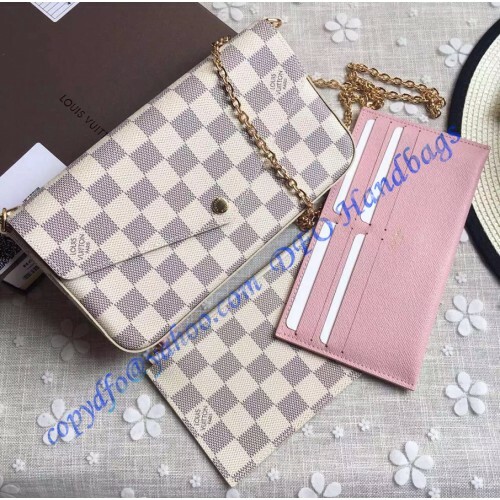 Louis Vuitton Damier Azur Pochette Felicie is an elegant and fashionable solution to keep and organize all your day-to-day essentials. 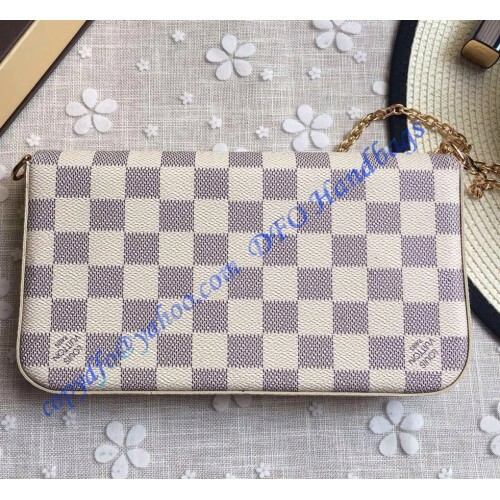 It has 2 removable pockets: a zipper pocket and a flat pocket with 8 card slots for bank cards, business cards, etc. 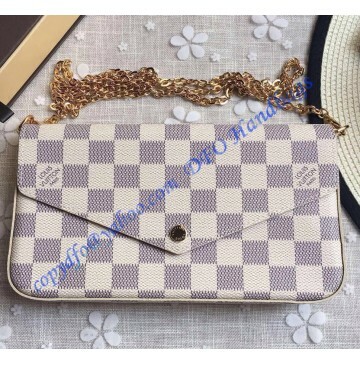 With a detachable golden metallic shoulder chain, you can easily transform it to a shoulder bag or clutch. 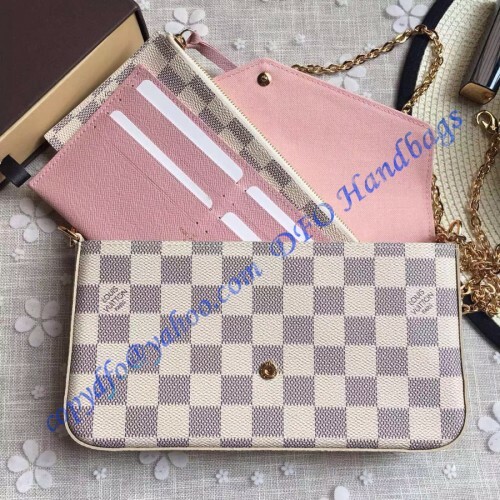 It is constructed in Damier Azur canvas with cowhide leather trims and golden color metal hardware. 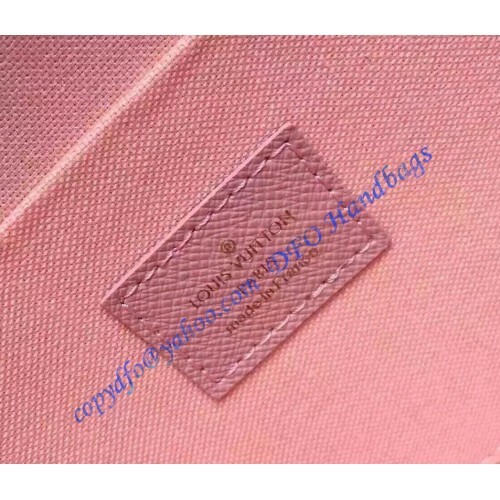 With a press stud closure, it opens to a beautiful pink cotton lined interior with a large compartment and a flat pocket.